In what can be called Ford Motor Company (NYSE: F)'s fight to gain relevance over different transport modalities, the automaker has reportedly agreed to buy electric scooter startup Spin, on a deal that is worth between $40 million to $100 million, according to multiple sources. Spin recently raised its Series A round and has a presence across major cities like San Francisco, Washington D.C., Miami, Dallas, Seattle, and Los Angeles. 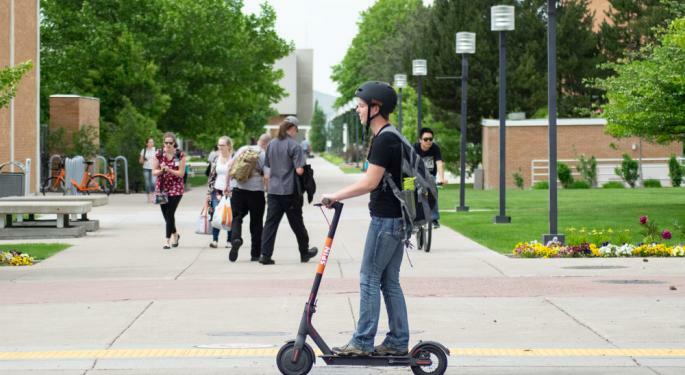 Though Ford might be the newest entrant into the e-bike segment, it has hit the ground running, as it recently announced its Jelly e-scooter service across the Purdue University campus. E-biking is the latest solution to come out of the eco-friendly transportation innovation factory, capturing the collective conscious of the millennials and the daily city commuters fed up of traffic logjams. Spin's original idea revolved around dock-less bicycle sharing, with which the company established itself in Seattle in mid-2017, introducing 500 such bikes into the city. The company saw huge success in its initial run, as over 5,000 rides were booked in its first week of operation. Spin quickly refashioned itself to become an e-scooter company by early 2018, pricing its scooters at $1 to unlock and 15 cents per minute for usage. The startup has had its fair share of problems, as it was met with rigid city regulations and unapproving transportation departments - like in New York City, where it was ordered to close down operations in Rockaway, Queens and had a similar issue in Austin, Texas where it was forced to suspend operations within a day of its launch. Earlier this year, the company had a few dozens of its bikes seized by San Francisco Public Works authorities as pedestrians found it hard to walk on aisles strewn with dumped bikes. Spin works with electric bike manufacturer Ninebot, the Chinese firm that had acquired Segway a few years back. Spin has a contract with Ninebot for buying 30,000 scooters a month through this year, which makes the startup join the long list of e-bike startups in the U.S. who depend on China for producing their scooters. Shifting the limelight to Ford, the company seems intent on taking up a sizeable market share in the e-bike segment ever since it flagged off Ford Smart Mobility in 2016. Before its acquisition of Spin, the OEM major had also bought e-bike startup GoBike, which has a strong presence across the Bay Area. Its foray into Purdue University through ‘Jelly' is an attempt for the company to understand the pulse of the market, with 40 scooters being distributed in the campus as part of a four-week research project. Spin has also shown an inordinately high interest in spreading across universities when compared to its competitors. This could be because controlling the usage of vehicles inside campuses would be a lot easier than out in the city streets, where bikes are prone to vandalism and theft. 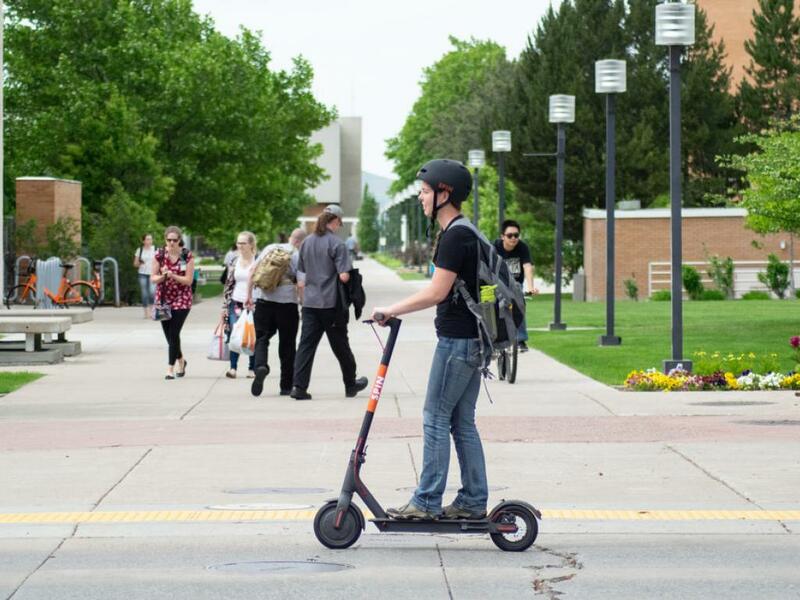 Students and millennials are predominantly the primary advocates for eco-travel and the biking trend, which would make it prudent for companies like Spin to target universities. That aside, studies show that a lot of work-related transits in the U.S. are around a three-mile commute, making e-bikes tailor-made to being a daily transport option. Meanwhile out in the metropolitans, cab ride-sharing companies have been taking a hit, especially during peak hours. Uber has witnessed a 10 percent drop in ride-hailing during peak hours in San Francisco, with e-scooter startups reportedly eating into its market share. Uber is now investing heavily in the segment, having acquired e-bike startup Jump for around $200 million and partaking in Lime's $335 million financing round. Uber's rival Lyft is also not far behind, as it bought bike-sharing company Motivate and is in the process of integrating bicycle and scooter sharing into its app. Lyft has also launched its own line of e-bikes in Denver, with the company being one of the few to receive permits from the city authorities. As new modalities of transport hit the scene and as cash-surplus e-bike startups rush ahead in a mad market-capturing frenzy, it is quite possible for the future of the e-biking trend to tilt either way. China saw a similar spike in e-bike interest and billions of dollars in investment in the segment a couple of years back, only to witness the startups hit the ground as hard as they had climbed up - while thousands of stranded bikes on pavements and across public places bore testimony to the idea's abject failure. However, situations and regulations differ in the U.S., and only time would tell if the people and authorities here would make peace with it.